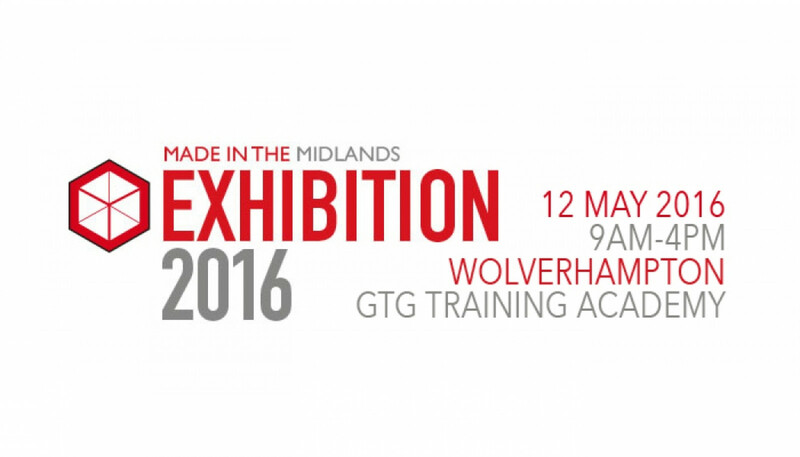 Made in the Midlands are delighted to announce that our Made in the Midlands Exhibition will be held at GTG Training West Midlands on 12th May, 2016 in Wolverhampton. GTG West Midlands is the latest addition to GTGs expanding company and is their first facility based in England. The new training academy was built in response to the success of their Glasgow and Edinburgh centres. GTG West Midlands is a brilliant location for training courses, meetings, conferences and events. The facility is a 58,000 sq ft state-of-the-art training centre and has 130 free parking spaces. We are pleased to reveal that GTG has an on site cafe, restaurant and a conference suite with 250 seats. GTG will provide Made in the Midlands with a contemporary and spacious venue capable of any technological or presentation requirements. GTG pride themselves on investing in the workforce of the future. This reflects the views of Made in the Midlands members, as manufacturers remain passionate about investing in apprenticeship and training programmes to strengthen the skill set of their employees. Our exhibition is set to be our biggest event of the year and will see over 150 exhibitors showcase their company. The Made in the Midlands Exhibition will bring together the very best of Midlands manufacturing and engineering services from across a variety of sectors. Companies involved with aerospace, automotive, rail, marine, medical, oil and gas are expected to attend. The day is not limited to the exhibits of members and manufacturing businesses, as a series of seminars hosted by our partners will examine topics that directly affect Midlands manufacturers. Tickets are available for free to manufacturers and members of Made in the Midlands. There are also a very limited number of tickets available to service sector businesses. Tickets are already beginning to sell for exhibitors, to enquire about exhibition availability please contact: [email protected] or call 01902 255033 to make sure your firm is part of our great celebration of British manufacturing.